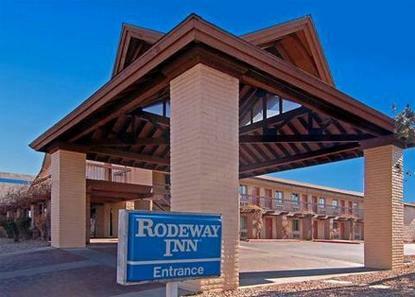 Hotel is located at the intersection of I-40 and I-25. We offer a free continental breakfast which includes juice, coffee and doughnuts. HBO and Showtime, free local calls and kids stay free are other great benefits that we offer. Old town is just 4 miles away. Our pool is outdoor and open from May to Oct. Pet accommodation: 10.00/stay per pet.